I’ve had a wee bit more spare time on my hands at the moment, so I’ve been reading A LOT (expect many book reviews!) 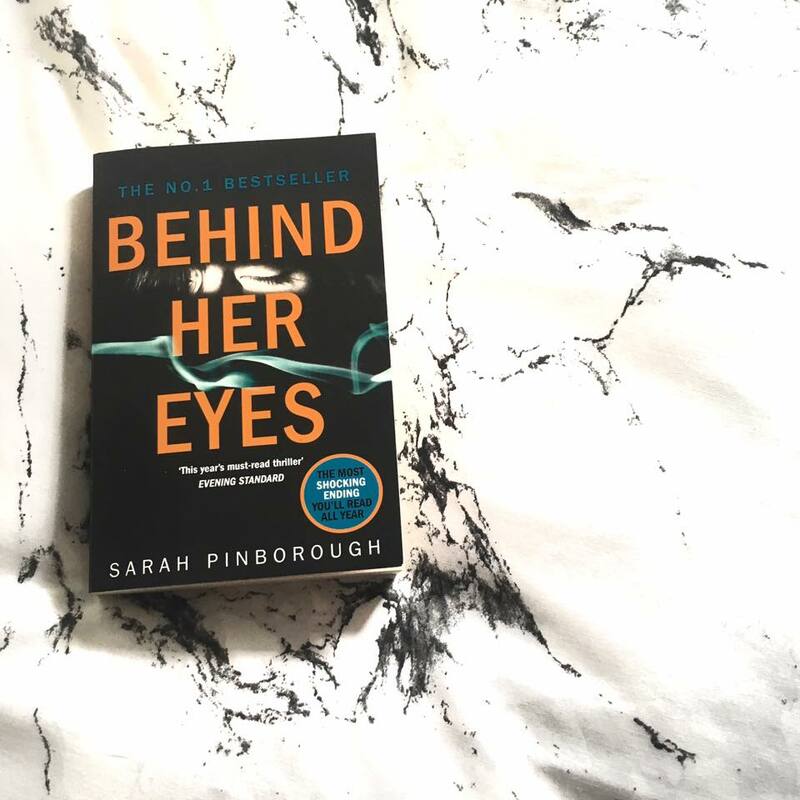 A few days ago I started the book “Behind Her Eyes”, written by Sarah Pinborough. This is my first book I’ve read of hers and it definitely will not be my last. If you know me well, you’ll know my favourite genre to read is crime/thrillers. Hand me anything with a dark and mysterious front cover and I’ll read it within a few days. Behind Her Eyes was no different, but believe me when I say (or scream) THAT ENDING. Anyone who has read the book will be able to relate to me. I’ve not had a book with such a shocking twist on the last few pages in a while. I thought I knew, and then I didn’t know, but then I definitely thought I knew – but I didn’t. Pinborough created this back and forth argument and suspense while reading and I loved it. To give a wee summary of the book (excluding spoilers of course); Behind Her Eyes tells the story from two different narratives and perspectives; Adele, the perfect and beautiful ideal wife of David. And then Louise, a single mother who gets entangled between David and Adeles relationship after discovering the man she kissed at a bar one night was in fact David, who then a few days later, becomes her new boss. This already screams complicated. It is obvious within the story theres a lot of history that is affecting the story line, and this is teasingly handed out to the reader by various intervals of Adele’s narrative from the past. Louise slowly notices that Adele and Davids marriage isn’t exactly normal, and theres cracks she intends to try and solve. Not only does Pinborough create a shocking twist at the end, she creates a second twist which leaves your jaw dropped for half an hour after finishing. This psychological thriller will definitely be getting passed around to my family / friends so I can discuss the ending with them. Even now, I still can’t get over it. Previous Post A week of Welsh towns, cafes & beaches!